Think for a moment about your startup community. If it’s anything like ours in Boston, it’s a tight-knit one, where many of us know each other and introducing yourself as an entrepreneur immediately bonds you. 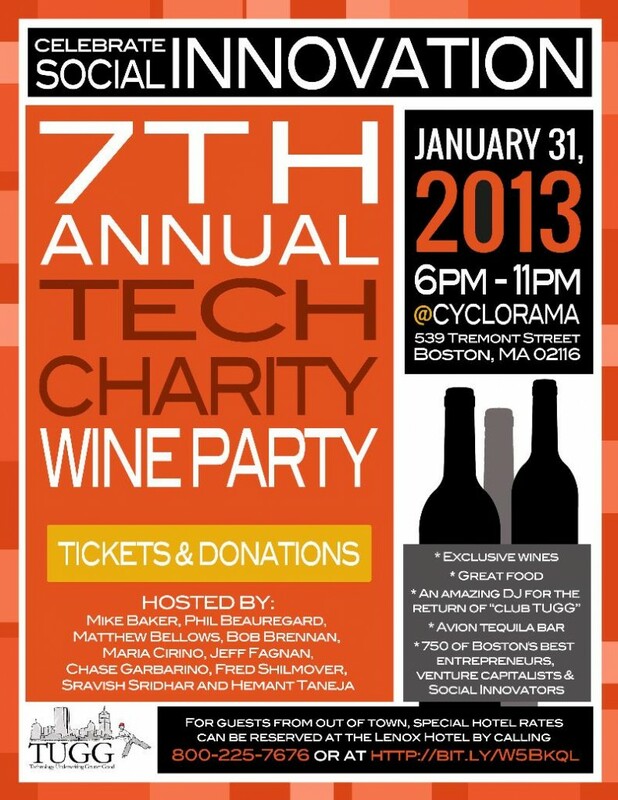 To keep our ecosystem thriving, we’re proud to sponsor Technology Underwriting Greater Good’s Seventh Annual New England Wine Charity Party this January 31. A fixture on Boston’s startup scene, TUGG has attracted incredible support from local entrepreneurs and venture capitalists. Fueled by Atlas Ventures since it first launched in 2006 with a model to catalyze and grow social entrepreneurship in New England, TUGG has specialized in “open source philanthropy,” bringing the for-profit and non-profit worlds together to foster collaboration and social innovation. As a startup it’s extremely important for us to give back. Brad Feld, an advisor at Yesware, often says that he lives by the mantra give before you get. He explains that as part of building a lush entrepreneurial landscape, its key that we mentor and support the efforts of others who pursue this work and lifestyle. We couldn’t agree more. Brad’s nuance about having an expectation of return, that in supporting these companies we contribute to the greater success of our overall community, is exemplified by TUGG’s impressive accomplishments. In its first year, TUGG’s Wine Charity Party consisted of 30 people and raised $3,000. Last year’s event raised $150,000 and saw more than 500 people on the guest list. This year we’re aiming higher. More than 750 people are invited and we’re raising $300,000. So join us in supporting six of New England’s hottest non-profits. The event will take place on January 31 from 6pm to 11pm at The Cyclorama at the Boston Center for the Arts. Buy your tickets here.